I have to admit that I’ve done a lot less sewing for my little girl than I imagined I would. I thought I’d be whipping up cute dresses right and left. Ha! I’ve made one. And it had a cat tail. It’s just that up until now she’s been growing so fast. And, we’ve been given so many hand-me-downs that’s it’s seemed silly to make something she’ll outgrow in a month or two when she already has plenty to wear. But, I still love the idea of making her clothes. 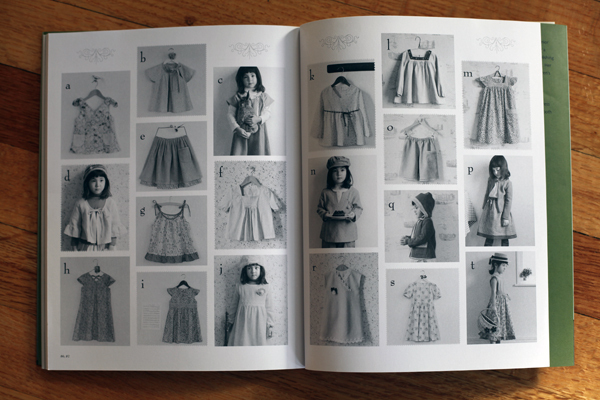 I’m especially feeling inspired after reading through Girly Style Wardrobe by Yoshiko Tsukiori. 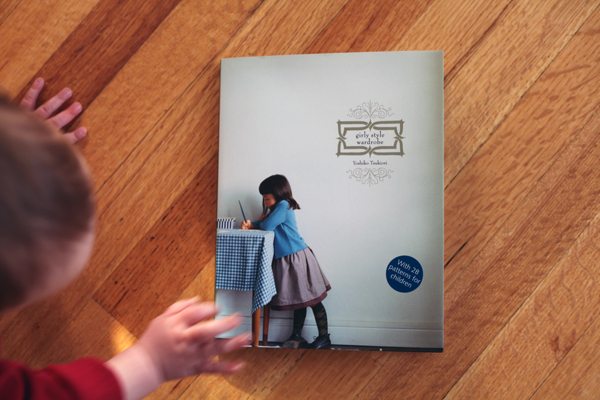 I have several other of her books, including Sweet Dress Book, which I reviewed here. But, this book is the first I have of hers that’s geared towards kids. And, I have to say that her style translates really well into kids’ fashion. 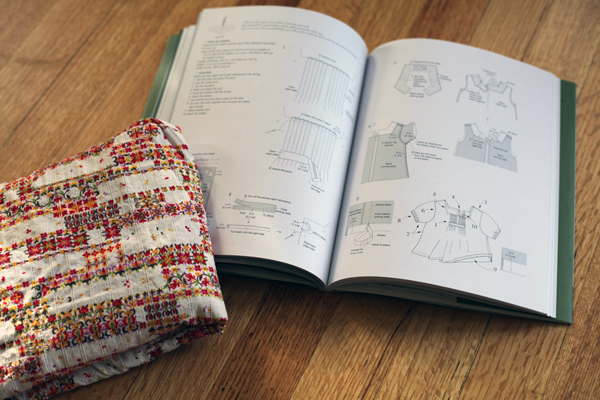 The 28 patterns included in the book are seriously cute. And extensive. 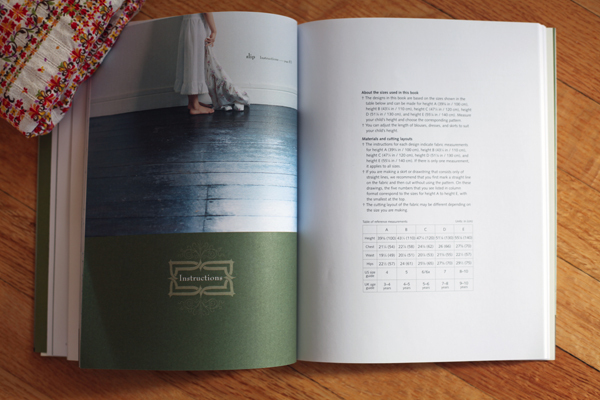 The book includes patterns for camisoles, blouses, smocks, tunics, dresses, boleros, skirts, pants, caps, purses, bags, and slips – really, as the title says, an entire girly wardrobe. 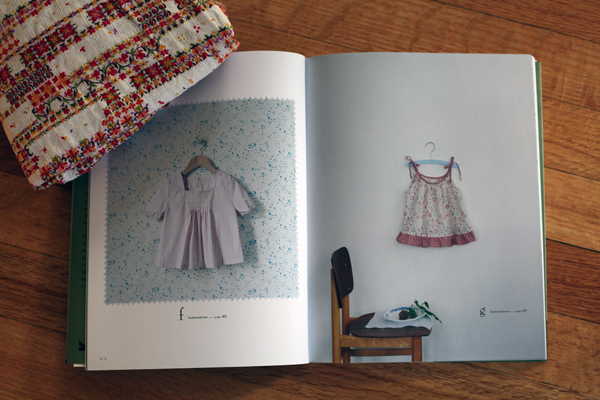 One of the first patterns that caught my eye was the square-necked blouse (left above). I thought the pleats would pair well with the textured cotton I knew I had left over from a skirt I made a few years back (fabric originally from FineFabrics.com). 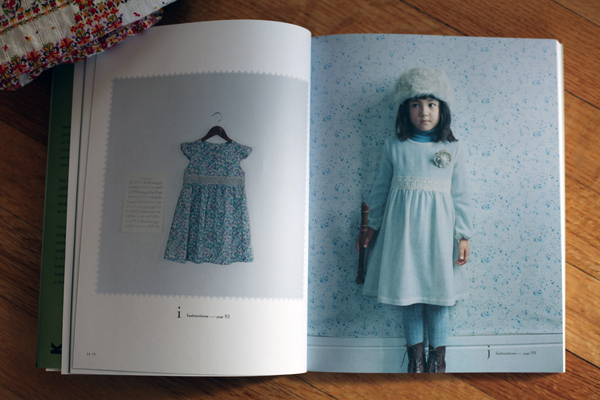 I also really liked the winter dress (the long-sleeved dress above), but as I was trying to figure out how much fabric it needed so I could start auditioning my stash for this dress as well, I realized the sizes included in the book range from 3 years old to 10 years old. My little girl is only 13 months, and she has a lot of growing to do before she can fit into clothes meant for a three year old! 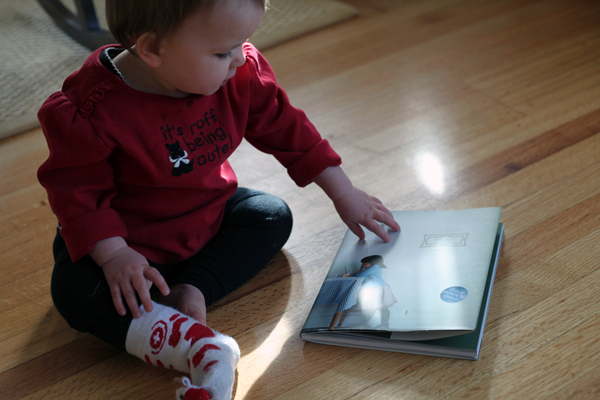 So, my little girl will have to wait a couple years before I make her anything from this book. But, the upside is that I’ll have more time to sew then, right?! Laurence King Publishing sent me Girly Style Wardrobe for review. 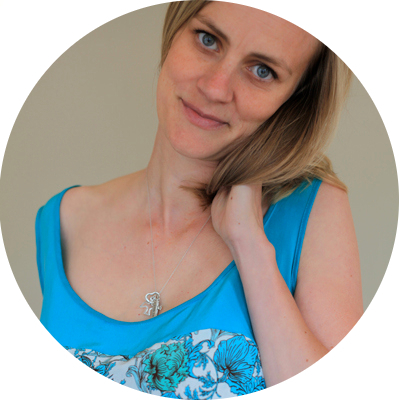 If you like what you’ve seen and buy the book through the Amazon affiliate link above, a few pennies will end up in my pocket. All opinions are my own. Next Post Happy Pi Day!